Okay, what happens when you receive a call and the voice from the other side asks you "would you like to visit Kuala Lumpur?" You say yes, hang up, pinch yourself, then you check your phone again, call a friend, get the confirmation that it's not a prank and eventually sit down to think about the whole thing once again. And at some point you realize that you are going to Malaysia. You take a deep breath. Start freaking out inside cause you never traveled more than four hours by plane. Say f word for several times. Read all the quotes from Pinterest: "you only live once." Or nine if you are a cat. And suddenly you start remembering the conversation and you figure out that you are traveling in business class with Qatar Airways. So you completely forget about your previous lunatic behavior. Why? 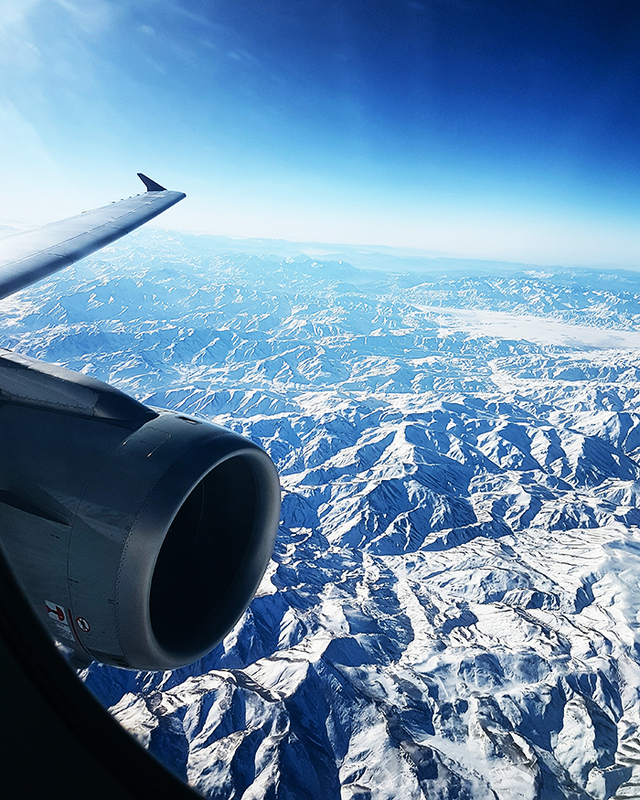 It's no secret that traveling by air can be a hassle. From arriving at the gate on time to waiting for hours before the plane takes off. Catch your connecting flight. 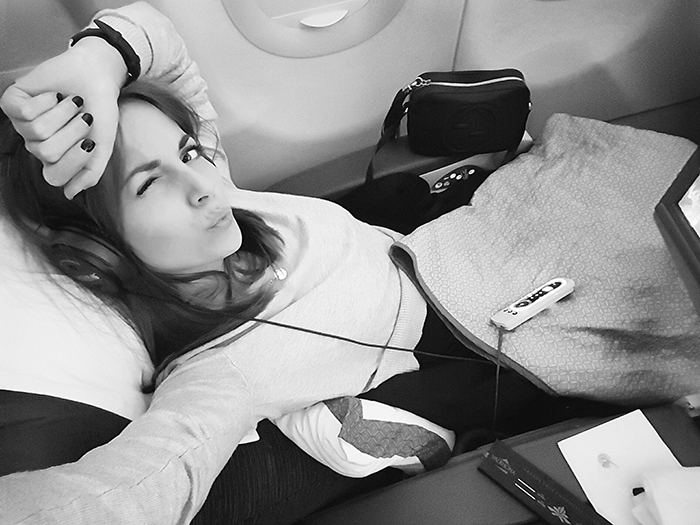 Feel comfortable during the 12 hours of flight. 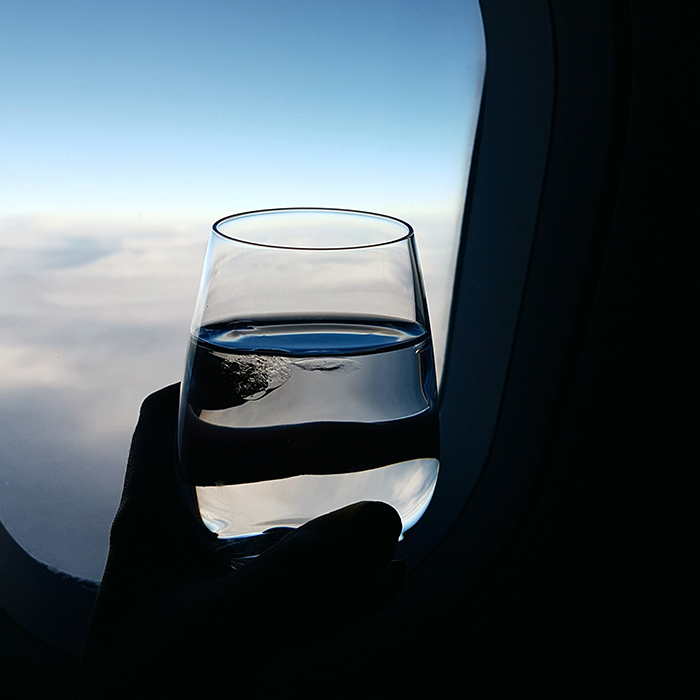 And with the carrier who has won World�s Best Business Class in 2016, all your worries can be on hold cause you will experience the five-star hotel in the sky. My route was from Belgrade to Kuala Lumpur, via Doha. Four flights and a consistent quality experience. After an express check-in and a short visit to lounge before our first flight, we were welcomed by name once we boarded and taken to our seats. First five hours of our journey were all about chatting. 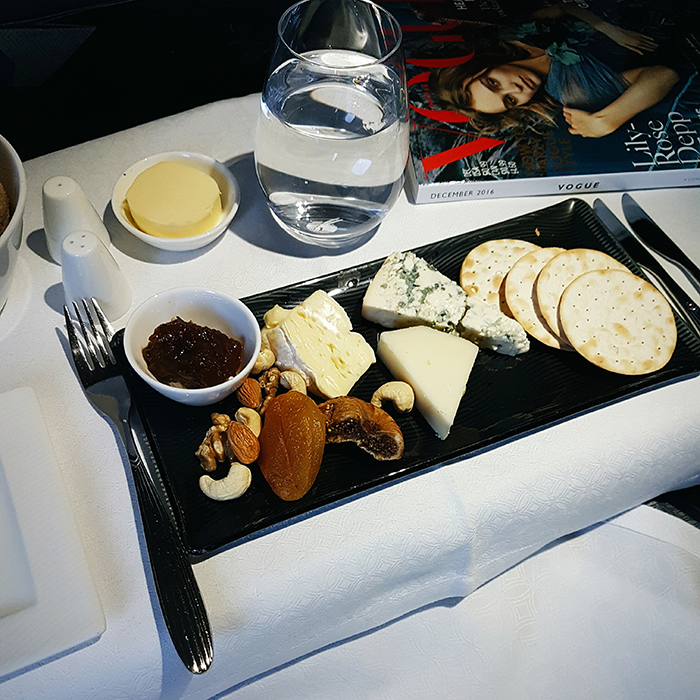 Little bit of Vogue, little bit of cheese plate, little bit of shyly exploring all of the buttons and we were right there: at Doha Hamad International airport, assisted by Meet&greet staff upon our arrival, skipping the queues again so we can board to our next flight. Eight hours long flight. The one that bothers me earlier. How wrong I was? We were greeted with champagne and fine wine upon boarding the plane. They introduced themselves to each passenger, to ensure we knew their names too. As it was an overnight flight we were given pyjamas and a bag full of Giorgio Armani finest amenities. The seats were spacious, quite wide and you could transformed into a bed with a button. How cool is that? 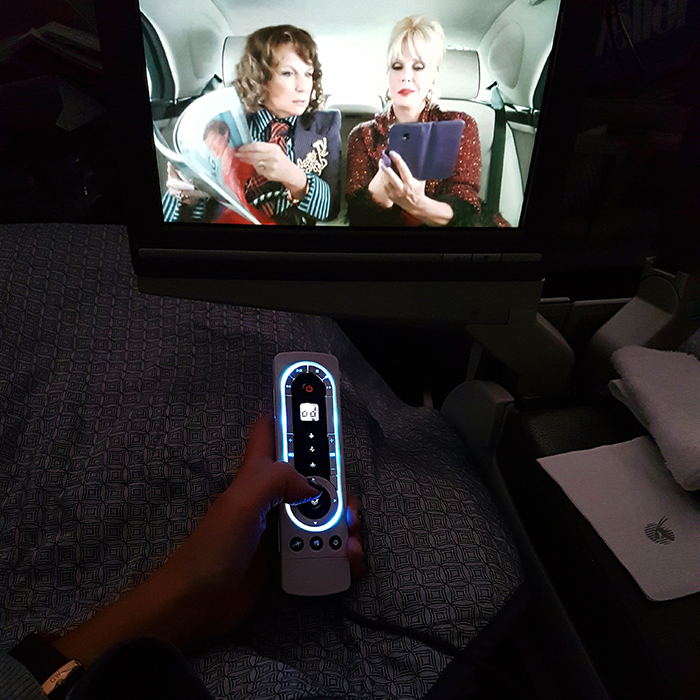 It's some sort of a high-tech private nest where you can enjoy up to 3,000 in-flight entertainment options. Oryx One�s innovative system features an intuitive touch screen, to quickly find an array of movies, games and music. That's how I ended up watching a few new movies and listening to Bieber's latest album before catching up on sleep. Yeah, Justin, do not judge. And don't worry, advanced LED lighting will help you adjust to changing time zones, so you arrive at your destination as refreshed as possible. Smart! And that's not even a half of the perks that you will get, cause there are delicious dine-on-demand cuisine, with a la carte menu, so you can order whenever you like, when you like. 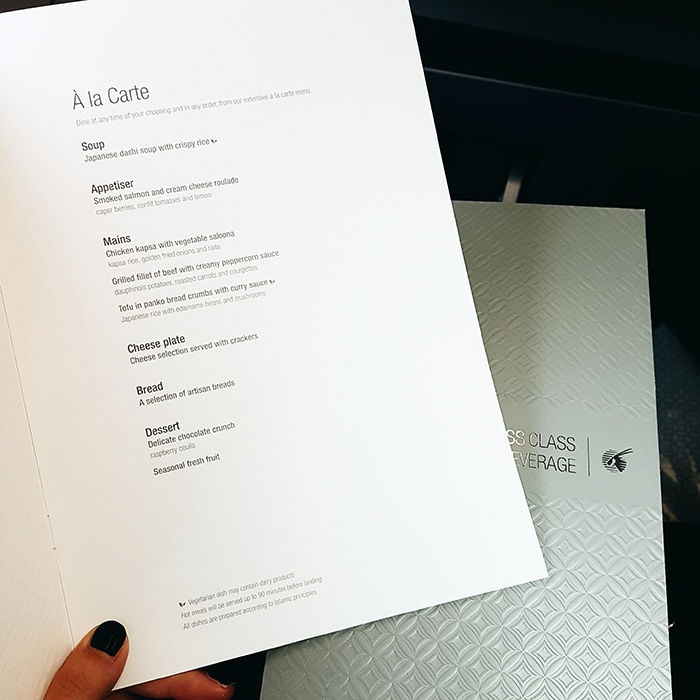 Sample signature dishes designed exclusively for Qatar Airways. Mouth-watering flavors, artful presentation, luxurious table linen and deluxe cutlery. Remember when I told you: "the five-star hotel in the sky"? Well, it's beyond that cause you will experience Qatar Airways legendary hospitality. The staff takes endless care to anticipate the needs of all passengers, so prepare to be pampered! Tucked in bed, refreshed with scented hot towels, treated with some extra chocolates or whatever your need is. I woke up in Kuala Lumpur with pouty lips and a smile on my face after a good sleep. 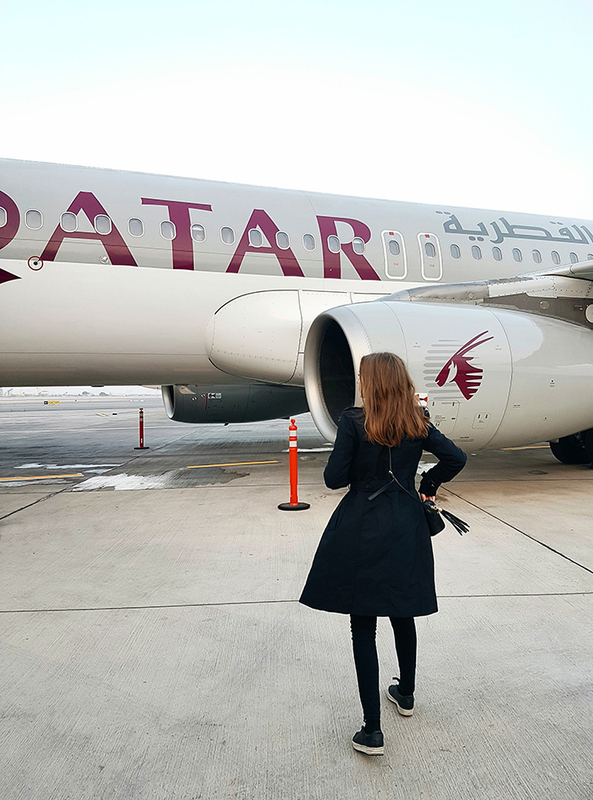 And then I completely understood how Qatar Airways nabbed second place in 2016 thanks to the airline's "quality performance" by the Skytrax which took everything from in-flight amenities to on-time departures into consideration for the rankings. 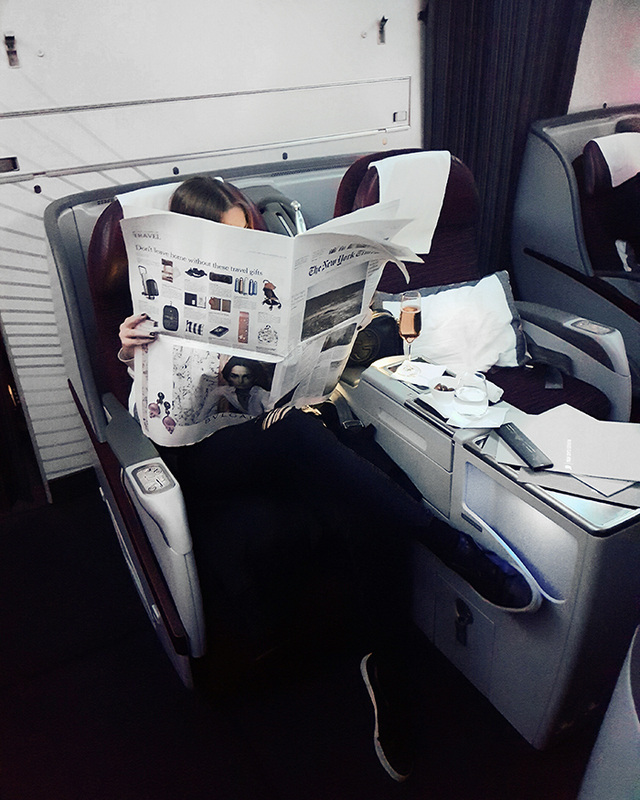 So do not even ask would I fly Qatar Airways business class again? The right one is, how can I travel differently when they spoiled me?! Huge thanks to Qatar Airways for this incredible in-flight experience and for the opportunity to explore a new destination. Stay tuned, cause Kuala Lumpur post is coming soon! p.s. For many destinations, airfare is the most affordable in the first month of the year. Hotels are competing to fill their empty rooms while the temperatures are low so take advantage by booking one of the Qatar Airways travel deals - check it here!